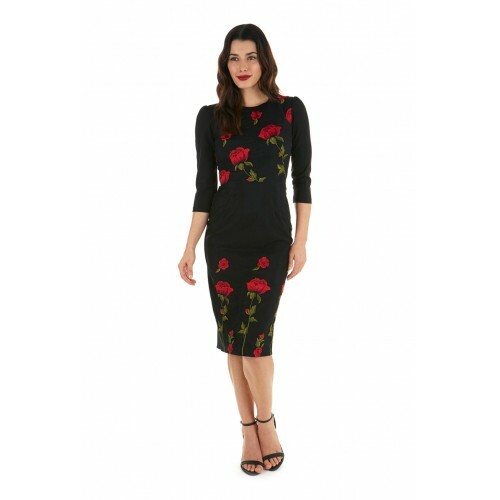 This limited edition red rose embroidery design dress features high neckline, 3/4 sleeves with gathering detail at shoulders, nipped in waist, and is fully lined with stretch satin and a concealed centre back zip. 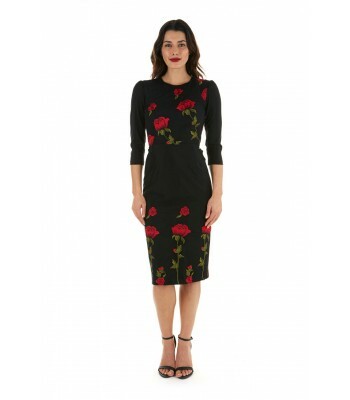 Created in stretch twill fabric with overlaid tulle front panels comprising of embroidered red roses. 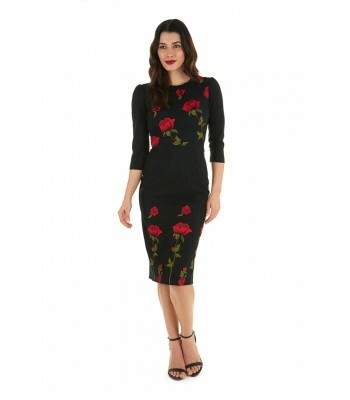 Fabric content: 63% polyester, 32% viscose, 5% spandex // Lining content: 97% polyester, 3% elastane.